CHILDREN'S ILLUSTRATION: "She’s Madeline, she’s Madeline, and she’s coming to the New York Historical Society." 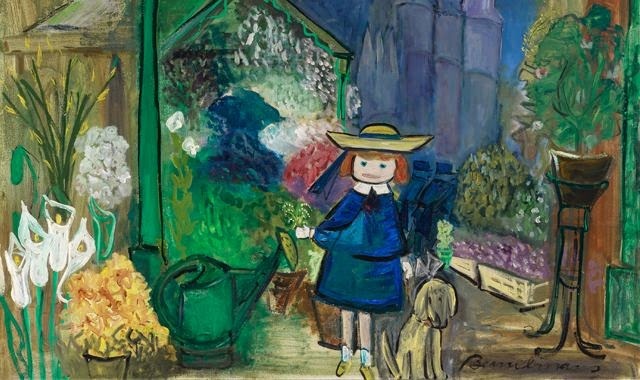 "She’s Madeline, she’s Madeline, and she’s coming to the New York Historical Society." To see 15 exhibition highlights, click on this wonderful slideshow. "In addition to drawings from all six Madeline books, the exhibition will also feature Bemelmans' drawings of the old Ritz Hotel in New York, murals from a rediscovered Paris bistro, panels from the Onassis yacht, and a cache of fabrics based on an early picture book."